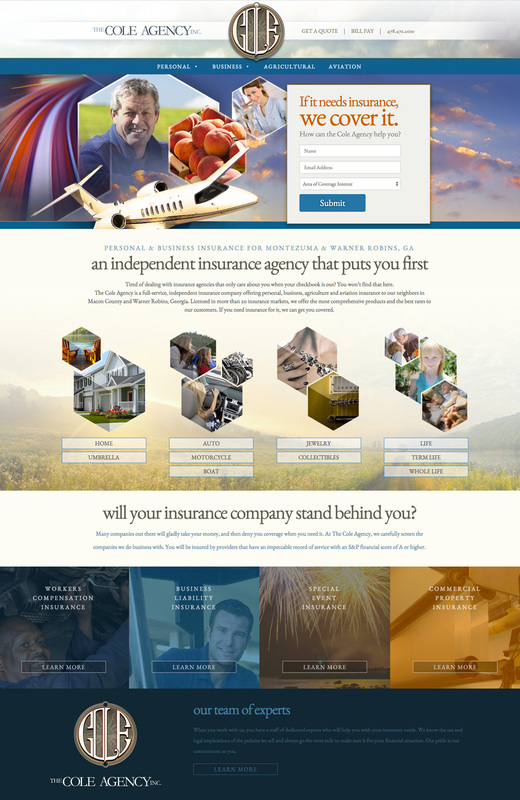 The Cole Agency offers a large spectrum of personal and commercial insurance in Macon County, Georgia. 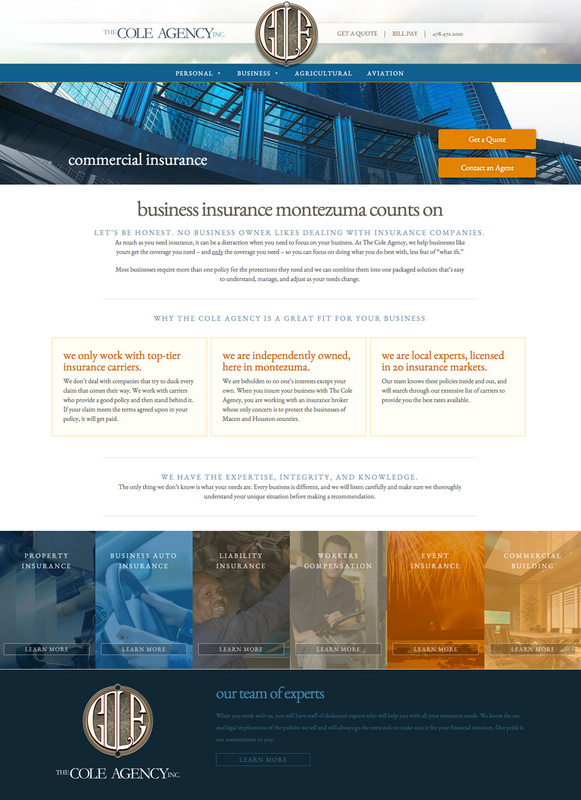 New England Standard had designed their website years earlier when the client asked us to update it with a fresh look and broader visibility. 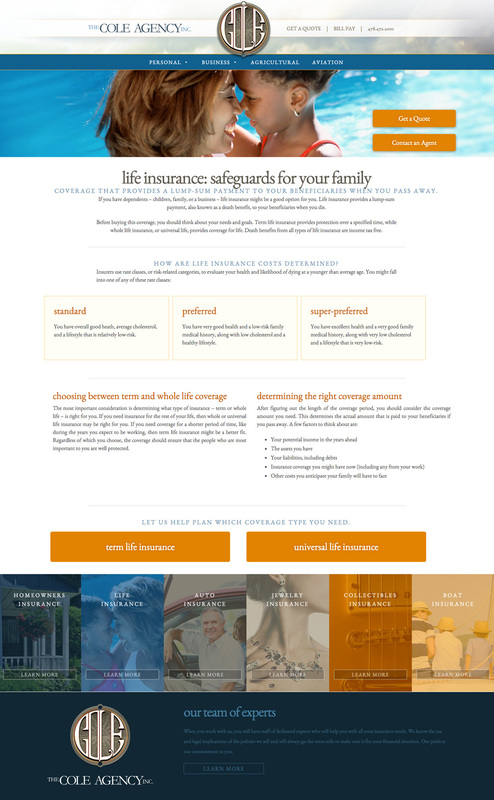 We broadened the scope to include pages for all services the client provides, educating customers about benefits and risks of each. We also added forms for people to submit queries through. HOW CAN NEW ENGLAND STANDARD HELP? New England Standard is a small business, just like yours. We understand the scarcity of resources and time constraints you live with every day. If you reach out to us, we will listen carefully to what's on your mind and respond with an honest solution to your problem. we’re a small business with big goals. just like yours. we understand the scarcity of resources and time constraints you live with every day. we will listen carefully to what’s on your mind and respond with an honest solution to your problem.